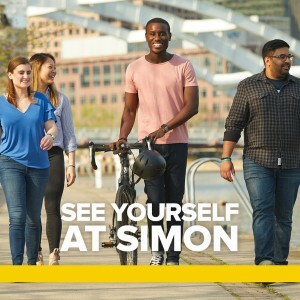 Make connections with Simon alumni. You will meet alumni with experience at companies such as American Express, Bank of America, Merrill Lynch, The Boston Consulting Group, UPS, and more. Guaranteed admissions interview. On-campus events provide an excellent opportunity to get face time with a member of the Admissions Committee. It’s free. We offer up to $500 in travel stipends, which covers the cost of travel in most cases. In addition, we cover hotel accommodations for two nights and your meals throughout the weekend. Grow professionally. Learn how to become a more effective leader and a more well-rounded professional by focusing on how to define your personal brand. Develop skills over the weekend that you can bring back to work on Monday. Leverage our powerful partnerships. Explore mentorship and professional development opportunities available through our MBA partner organizations, including The Consortium for Graduate Study in Management—Simon’s partner for 50 years. Friday, October 12, 12:30 p.m.* – Saturday, October 13, 5:00 p.m. If you have questions about the event, please contact us at events@simon.rochester.edu. We hope to see you on campus next weekend! If you’re looking for general information about our admissions events, check out this archived webinar featuring our MBA admissions counselors and a few current students to learn more! Great post. I was checking constantly this blog and I am impressed! Extremely useful info particularly the last part I care for such information a lot. I was seeking this particular info for a very long time. Thank you and good luck.